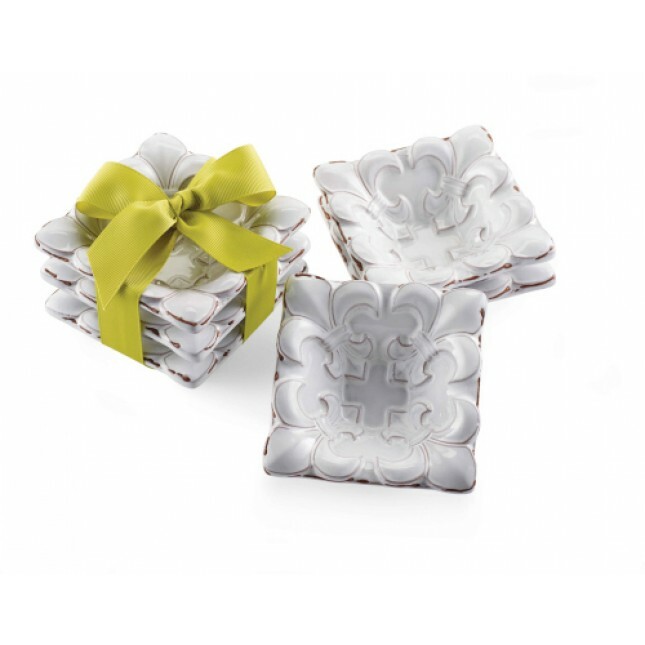 This French inspired 3 piece set of milk glazed mini terracotta dip cups features raised Fleur de Lis detail and is perfect for all of your favorite sauces and dips. Arrives tied with grosgrain bow. Part of Mud Pie's All Things French collection. Share this product on Pinterest!